The Times has today published some selected extracts from the foreword to the third edition of my book The Family Court without a Lawyer - A Handbook for Litigants in Person. I am delighted to be able to welcome and applaud the latest edition of this important, and for litigants in person in the Family Court, absolutely invaluable book. Written by an author who has vast practical experience of what really goes on in family courts, this Handbook will continue to serve as a trusty, reliable and up-to-date guide and companion to those who find themselves on their own in court and without the assistance of a lawyer. The Family Justice Council has done valuable work in providing user-friendly literature for litigants in person, but otherwise the work thus far undertaken by Government – whether the Ministry of Justice, Her Majesty’s Courts and Tribunals Service or the Family Procedure Rule Committee – has been sadly inadequate. So it is to the voluntary sector and to practitioners such as Lucy Reed that we must continue to look. The truth is that we face a massive challenge. At present our practices and procedures are designed for – assume – a family justice system where the typical litigant has legal representation, whereas the reality is that, across vast swathes of the family justice system, the typical litigant now has no legal representation. The consequence is that practices, procedures and rules designed for lawyers are largely inaccessible – truth be told, unintelligible – to litigants in person. The Family Procedure Rules are a monument to a certain traditional style of legal drafting but are no more useful or intelligible to the litigant than the Tax statutes are to the taxpayer. And most court forms are little better. The fact that this handbook is as long as it necessarily has to be if it is to achieve our author’s objectives is no criticism of her but rather an indictment of the unnecessarily over-complicated ‘system’ which her readers are condemned to navigate. In time these serious blots on our system will be remedied, but in the meantime the need for books such as this will only increase. And given the traditional snail’s pace of legal reform in this country I foresee the need for many further editions from our author before we reach the promised land. In an ideal world we would not need a book like this but that world exists only at the end of the rainbow. So we will always need books like this. My hope is that, in due course, as our processes are simplified, our author will be able to produce a correspondingly shorter text. In the meantime I can only hope that she continues her good work. I look forward to the next, and to many further, editions. Finally. The summer beach read you've all been waiting for*. FCWAL 3 ... The litigant in person strikes back. Thanks to all of you who have given feedback and suggestions for things to add into this edition - I hope I've incorporated most of them and that the 3rd edition is not only updated but also better than the earlier versions. To get a 20% discount on your copy of the new edition pre-order using this code before the end of August : fcwal3. Order via www.nofamilylawyer.co.uk. *seriously, DON'T take this to the beach with you. If you are considering taking this to the beach with you, you need to sit yourself down, give yourself a dummy smack and drink a lovely mojito instead. Cross Examination of Complainants – why on earth is it happening? NB I've updated this post since publication - see foot. There was also some coverage last week which led to a significant response in the letters section of the Guardian here (which links to earlier articles in the sequence). I don't think anyone would argue that perpetrators of sexual assaults or serious domestic abuse ought to be able to re-traumatise their victims by direct cross examination of the in court (I suspect there may be less of a consensus if you asked whether ALL alleged perpetrators of ANY type or degree of domestic abuse should be so prohibited). Anyone who has represented parties in these cases knows how taxing the court process is even when conducted well and when everything goes smoothly from a procedural point of view. But current criticism of judges for allowing cross examination by alleged or proven perpetrators on occasion, is somewhat missing the point. In my view it should never happen - we can and should find alternative ways of doing things that are fair to both parties. I don't in fact think it happens very often in cases where the violence is serious*, and even less often in cases of sexual assault or r*pe, but we all have to acknowledge that the jury is still out on quite how often it happens because all we have at present is anecdotal evidence that it is happening to some extent (and that anecdotal evidence makes pretty depressing reading). But I think it's important that people understand why this issue is an issue at all. From the outside it probably seems a total no brainer, and its easy to criticise crusty old judges (always male in the mind's eye of the media / campaigners of course) who just don't "get it". Based on my own direct experience, I think most emphatically DO get it, but I also have direct experience that a few emphatically do not. That is really worrying and it is no comfort for the individuals interviewed by the Guardian or those like them to be told that most judges are okay. But. We do need to make attempts to distinguish between a system which is cavalier about this issue, and a system which is cornered into doing things in a profoundly unsatisfactory way. It is inevitably the case that some individual judges, magistrates or legal advisers need a crash course in domestic abuse and coercive control, but there are also many other factors at work here - and I think it is probably in addressing those other factors that the greatest potential to achieve real justice for complainants lies. If the court decides that it is necessary in the interests of justice for the witness to be so cross-examined, the court must appoint a qualified legal representative (chosen by the court) to cross-examine the witness in the interests of the accused. That section banned the direct cross examination of a complainant in cases of sexual offences. And, to ensure that a defendant still had an opportunity to challenge the evidence, Parliament also made legal aid available as of right for the purposes of cross examining the complainant. That isn't a perfect solution because the legal aid doesn't extend to the running of the case or even advocacy for the whole trial, but it's better than nothing. And of course in most criminal cases legal aid is still available for the rest of the trial - so this provision really only kicks in in the case of a defendant who eschews legal representation and positively wants to represent himself - it's designed to restrain that sort of cross examination that a perpetrator might get a kick out of or use to intimidate a victim. (b) the court of its own motion raises the issue whether such a direction should be given. The distinction here is that there is not an automatic prohibition, but the prosecution may apply for a direction if direct cross examination is likely to prejudice the quality of evidence - or indeed the judge may make such a direction if he thinks it appropriate even if not applied for. In such a case the court is given a discretion. So, what is different in the Family Court? As in the criminal court, the Family Court has to ensure fairness for both parties (Article 6 European Convention on Human Rights, Overriding Objective Family Procedure Rules), but here also in the context of prioritising the welfare of any child involved (section 1 Children Act 1989). The child too has an Article 6 right to a fair trial in relation to allegations of domestic abuse that might lead to a restriction on their Article 8 ECHR right to family life with one or other parent. And that means that the court has a duty to make sure that the person accused of abuse (remember, they might be innocent) is given a proper opportunity to challenge the allegations and evidence. In a family case, if the accused is lucky they will have a lawyer to do that for them, but if they don't (and many don't) they still have an entitlement to challenge that evidence if they wish. The court can to some extent control how that happens but it isn't presently empowered to bar a person facing allegations from asking questions. (b) put, or cause to be put, to the witness such questions in the interests of that party as may appear to the court to be proper. At first blush this seems to be a rough parallel with s34 YJ&CEA 99 but it's really quite different. It does empower the court to take over the questioning or to get someone else to do it (for example the solicitor for the child), but each of these "solutions" has it's own difficulty. But read more closely s31G(6) only gives the court this power where a litigant in person is UNABLE to cross examine effectively - which of course does not always apply, and in particular doesn't empower the court to stop the cross examination of a litigant in person who thinks he is doing fine thank you very much, but who may be traumatising a vulnerable witness. And unlike the situation in the criminal courts the Judge is not able to grant legal aid to facilitate the conduct of cross examination by a professional. So, whilst the judge has a general power to limit cross examination (Family Procedure Rules 22.1), for example by imposing time limits or restricting questions which are irrelevant or inappropriate, this does not equate to a power to prohibit it entirely. In cases where a judge has decided it would be inappropriate for questioning of a vulnerable witness to be carried out directly or by the judge (who has to maintain impartiality), and has attempted to order the court service to fund an advocate that has been roundly overturned on appeal (Re K and H (Children )  EWCA Civ 543), so it is now clear this is not currently an option for those trying cases in the Family Court. In K and H the Court of Appeal effectively squashed judicial attempts to find a way out of this mess by saying that Parliament knew exactly what it was doing when it decided to go ahead with LASPO and the court had no power to order the expenditure of public funds in this way. But the Court of Appeal were also surprisingly dismissive of arguments made in Q v Q : Re B : Re C (Private Law : Public Funding)  1 FLR 324 and other cases that a fair trial would be compromised without legal representation of an accused - they thought that questioning by the judge or by a justice's clerk or through the appointment of a guardian for the children would be an adequate solution in many cases. Many judges and advocates raised an eyebrow at that, but there we are, that was the clear view of the Court of Appeal, although they did acknowledge that questioning of a witness by a judge could involve treading a difficult tight rope, saying however that the judge must just do his or her best. That of course shouldn't translate into the cross examination of complainants by those they say have abused them where a court has decided that would be inappropriate, but whatever the Court of Appeal say (the Court of Appeal have the luxury of not having to deal with the practical reality of a trial) the options available to a judge are all rather unsatisfactory (See Q v Q and below for a summary of why). Guardians are rarely appointed so they can't often help with the asking of questions through their lawyer (and they are in the same bind as a judge as they are supposed to be neutral too - I have been in cases where counsel has refused to do it and I don't think a judge can force them to conduct a case in a particular way, that is a matter for their client and their professional ethics). Magistrates are ill equipped to be asking questions directly - unlike a judge they are neither lawyers nor have a background as advocates, and the process is simply unworkable when magistrates operate by committee. I've seen judges in a range of cases (civil and family) give general assistance in the framing of questions to a litigant in person (often to both parties in a small claim or family case where there are no lawyers), but that is to help them put their case / elicit evidence helpful to the court, and NOT taking over the job and carrying it out for them for the protection of the witness. That's a completely different task - and even the general assistance model can be quite difficult to pull off without giving an impression of bias to one side or another. The Bar Pro Bono Unit are overwhelmed. I've been involved in many cases where a case is delayed to see if a pro bono lawyer can be found. This helps in some cases but isn't really a viable solution, and it is inevitably the case that advocates are more likely to be willing to take on a case that has some hope of career advancement (some novel legal issue) rather than one which is just a lot of work but not legally interesting. So in many of these cases this isn't a solution at all (and the BPBU don't take cases at all of more than 3 days so complex fact finding hearings are ruled out). The issue of perpetrator cross examination was always a potential problem in family cases (and probably always happened in a small number of such cases but with less fanfare) because there were always some alleged perpetrators who didn't qualify for legal aid. But it became much more acute when legal aid was slashed by The Legal Aid Sentencing and Punishment of Offenders Act (LASPO) in 2013. A combination of the intensification and greater frequency of the issue arising where there are no lawyers, and an increasing understanding of and concern about the retraumatising effect that the court process can have has probably led to this issue coming to the fore now. Munby “would welcome a bar” on the practice but [said] that it was down to primary legislation in parliament to do this. Munby and others have been saying this since 2014 (and indeed said it before LASPO was implemented. Parliament and parliamentarians ignored us). Whilst there are a number of MPs taking up the issue of the treatment of domestic abuse victims in Family Courts, none has yet put before Parliament any bill that would assist the judges by outlawing the cross examination they complain of, and by giving them a feasible alternative. 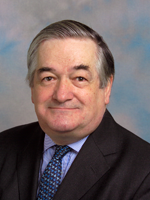 The spokesman said Munby welcomed the fact that Women’s Aid had raised the issues and that he was considering a review of the rules supposed to protect victims of domestic violence within the family courts and stop direct cross examination. Although The President has some influence over the Family Procedure Rules Committee he cannot unilaterally or immediately change those rules (the reforms proposed by the Working Group in 2015 have been stuck in a tangle of red tape since 2015, it is rumoured because there are difficulties with securing ministerial approval with regard to the resource implications of those rules. The FPR Committee has no power to amend primary legislation, and it is clear from Re K and H that it is primary legislation that would be needed to secure the funding that would be required to enable a judge to appoint an advocate to cross examine on behalf of a litigant in person. There is no doubt however that the President is, like many of us, genuinely frustrated at the mess we are in, and that this press coverage may happily provide useful political leverage for those who hope to persuade Parliament to find a real fix. It is just a shame that the campaigners are aiming perhaps at the wrong target. We all agree on the problem but the solution lies with Parliament. *I have known it happen without objection in cases where violence is not recent and where a survivor is ready to look her abuser in the eye, and feels that is part of her journey. Not all survivors want to be wrapped in cotton wool, some ask for special measures to be removed as their strength grows. I have just listened to the podcast of this morning's Womans Hour with Elspeth Thompson (solicitor) and Polly Neate, featuring more details of the press release apparently made available to the Guardian as the basis for the article I've linked to above. You can listen here. I don't think I can pass without comment the remarks made by Polly Neate, CEO of Women's Aid makes in the course of that segment. Because professionals in the Family Court - in the main judges - actually don't understand whats going on in domestic abuse. So, they don't understand that domestic abuse is very commonly - in fact routinely - continues after separation. So, if the last violent incident was a few months ago and they've separated they just don't it see as abusive, they just don't understand the impact on children and just don't understand coercive control - and this behaviour we’re talking about is coercive control. It's really a lack of understanding on the part of many judges and that's why they allow it....it's appalling that the level of understanding is so weak. That being said there are of course some brilliiant judges and examples where this doesn't happen…all that goes to show is that its perfectly straightforward for a judge not to allow this if he or she doesn’t want to. So it has to stop...solicitors and judges say its incredibly uncommon but we found 1 in 4 survivors of domestic violence with experience of family court had been directly questioned. That’s not "hardly ever happens". I have asked Women's Aid about the detail of their evidence base for this sort of assertion - because it is a really serious allegation and has a very different solution to the problem as I see it (as set out above), and therefore affects where we ought to be directing our energies (it's the difference between culture and resources). Women's Aid recently agreed to answer my questions about their evidence base. See here on The Transparency Project blog, for the background to that. I will update that and this post if and when answers are forthcoming [Update : Answers from Women's Aid here]. I think it is critically important that they do so, particularly now it appears (as of today's unpublished press release) that there has already been a review of PD12J conducted with the help of Women's Aid that is coming to its conclusion. I'm not saying that Women's Aid are wrong necessarily, my own experience may not in fact be representative - but I am asking for us to move forward on the basis of proper, balanced evidence rather than on the basis of who shouts loudest.